Before I became involved in the training and coaching field, I interviewed for a technical sales position about a year after the great Tech Wreck of 2001. 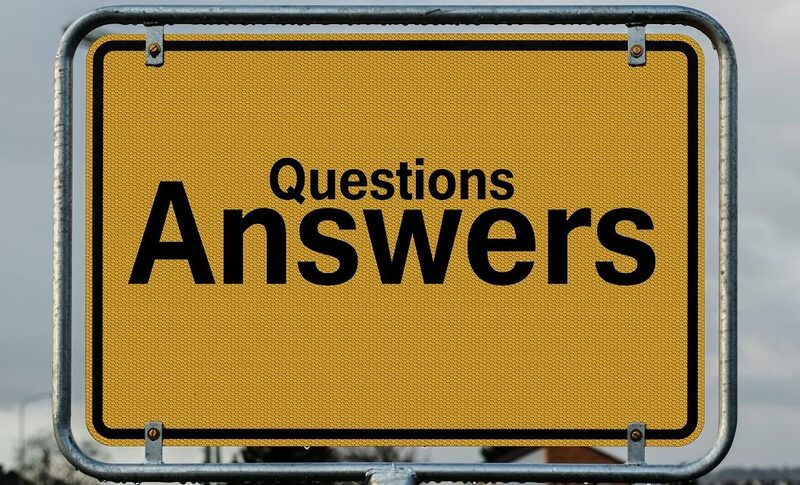 During the interview process, the interviewer asked me if I had any questions, a standard practice in any interview situation. I told him that I did and I asked him my first question. Without hesitation, his first words were, “That’s a very good question…” before giving his response. I couldn’t explain it at the time, I felt that the opening was canned – a cheap way to buy himself time to think. Since that time, I’ve heard many intelligent coaches, sales reps, managers, interviewers, and politicians, all with limited speaking experience lead off with “that’s a very good question” before answering a question. When I hear someone open with this phrase, they always sound disingenuous, as if they are trying to ingratiate themselves to the person asking the question. “When we make a comment like ‘that is a good question’, we are grading the participant’s question. Now, when you commented that his question was a ‘very good question’, what happened to all of his other questions? I’ll tell you what happened. You just singled out this question as the best question of the entire session. Everyone else is now thinking that their questions didn’t measure up. Theirs wasn’t good enough to get a grade. You don’t have to be an instructor candidate to fall prey to this type of two-dimensional thinking. And it doesn’t matter if you are presenting to an individual or a group. When you grade your audience’s questions, you will impact their perceptions. When you are conducting a one-on-one consultation and you grade your client’s question, you’ve set the mental perception that their other questions were not as good. Furthermore, they are now listening for your verbal acknowledgement that any new question will be as good as or better than that one question. Now, when you are presenting to a group and you preface one of your responses with “that’s a very good question”, every other person in the group who had asked a question will think that their question wasn’t as good. You’ve set them up as under-performers. As a result, everyone in the group will be hesitant to asking further questions for fear of not meeting your standard. In either case, grading a question with this habitual response will put you at a disadvantage with your audience. Here’s a solution to avoid using “that’s a very good question” and grading a question. When you need time to gather your thoughts before responding to a question, simply paraphrase the question. This does three things. First, it shows that you were listening to the person asking the question. Second, paraphrasing insures that you understood the question and you are getting buy in from the questioner. Lastly, restating the question with power and volume insures that the entire group hears it. Now, the answer can be a relevant and meaningful response for the entire group, not just the questioner. Remember, when you are given a question from the audience, don’t grade it by leading with “that’s a very good question.” Paraphrase or restate the question to the whole group before responding. Your audience will be more receptive to your response and you’ll leave a positive impression in your audience’s mind. 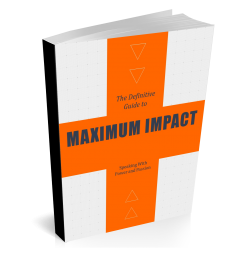 For additional ideas on public speaking and effective communicating your ideas, get a copy of Maximum Impact, my latest collaboration with Paul Bagan on presentation skills and communication tactics. Note: This post was updated. You can find the new version here.